Co-director Mara G. Milner ’20 in the show "on quarter." Harvard Ballet Company celebrated 25 years of hard work, performance, and excellence Nov. 22 to Nov. 26 with their production of “on quarter.” Directed by Anna K. Antongiorgi ’19 and Mara G. Milner ’20, and produced by Alexandra Caffrey ’19 and Isabel Wu ’20, “on quarter” depicted a journey of identity through dance while presenting the essence of the performing arts. HBC’s show used music by George Gershwin, phenomenally played by student pianist Forrest G. Flesher ’21, to choreograph 15 unique pieces that formed the consolidating theme of this year’s production. Choreographed predominantly by students as well as two guest choreographers, Anna Riley-Shepard ’15 and Elizabeth C. Walker ’11, the individual pieces varied from fast to slow, abrupt to calming. Each was characterized by the overarching theme of what it means to be a performer. The movements of the dancers, set to Gershwin’s piano music, brought genuine and vivid depictions of a performer’s identity to life: the angst and excitement, the surprises and frustrations, and as well as the nostalgia and glee that encompass the experience on and off the stage. Enhanced lighting technology set the ambiance for each piece. The Loeb Drama Center allowed for colorful, opaque tinted lights and spots, which intensified the movements of the performers. The light effects were further bolstered by the precise costume choices. Outfits in the muted tones of deep purple, pale orange, and blue romanticized the atmosphere, which easily went from mysterious to carefree in an instant. The performance began with a piece choreographed by Antongiorgi, “Two Waltzes in C,” that set the mood and setting for the rest of the show. 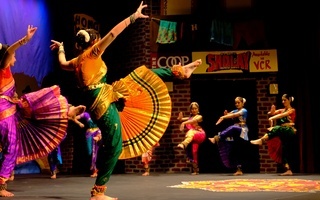 The five performers travelled across stage through clear-cut movements that emphasized both their ability as dancers and the show’s theme. 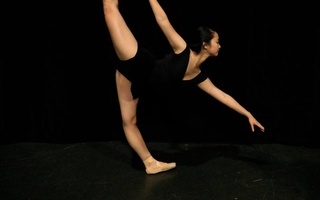 “Prelude - Rubato, Somebody Loves Me,” choreographed by Abigail Alter ’20 was also notable. Here the pace slowed down and focused on the intrinsic movements of the performers that illustrated the exploration of devotion and lust. In order to avoid detracting from the many deep emotions in this piece, the lights were dimmed and the music softened. This was also the only piece that featured two male dancers in the otherwise solely female production. Following the intermission, the Loeb Drama Center stage allowed for a different kind of viewing experience. A double-sided stage, one with the stage in the middle and two sets of audience chairs facing each other, was presented and came to serve as the centerpiece for a part of the production. 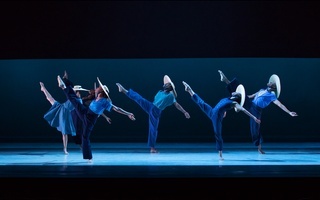 “Rhapsody in Blue,” choreographed by Wellesley student Sarah Chou ’20, incorporated this concept into her piece: The audience now faced a mirror image of itself, with some of the dancers joining part of this new “audience.” This unique play on viewer and performer emphasized the role of the audience within the show while narrating the journey of the stage performer. 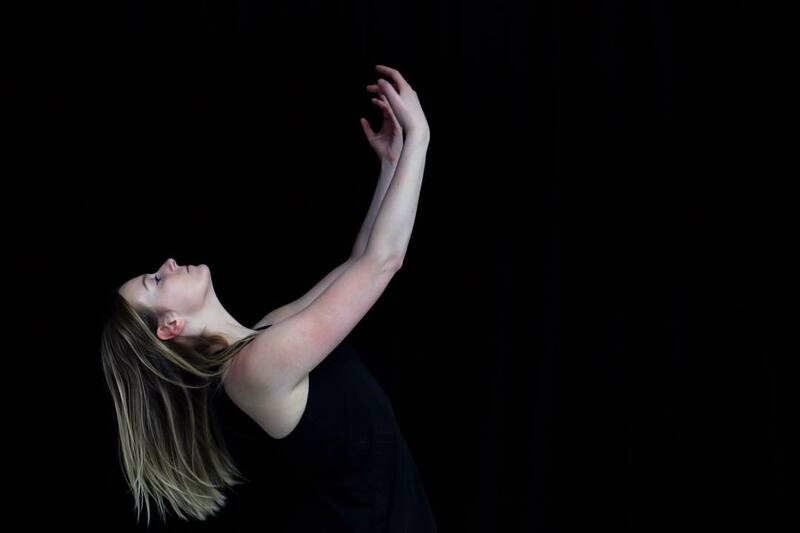 This change of perspective served as the climax of the viewing experience and deepened the audience’s connection to the theme of “on quarter,” through self-reflection on the embodiment of identity in performance and dance.